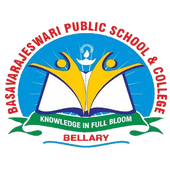 The Basavarajeswari Public School & College (BPSC), a day school is named in mother's name, is proposed to be the crowning glory of creating right environment for fostering the spirit of exploration in the teacher and the taught, so as to encourage introspective thoughts, words and actions and build our students into citizens with a conscience. Located on a 3.00 acres campus within city limit at Patel Nagar, on Dr. Rajkumar Road, and a built-up area of 6000 Sqm. provides an extremely invigorating and congenial environment for learning with state of art building, designed as per international norms and class rooms are well equipped with class strength of 45 students with audio & video facilities. The elegant school campus boasts of state-ofthe-art infrastructure at par with the best of the institutions in its class, comprising a three-storied school building including fully equipped Laboratories, Modern teaching facilities, Spacious Library, Computer Laboratory, lndoor Stadium & Audio-Visual Halls, fully equipped Modern Gymnasium, Mineral Water facility is also available for the children.